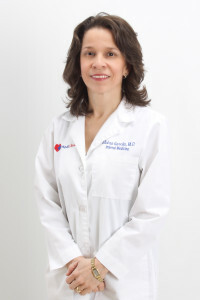 Dr. Elvira Garcia was born in Cartagena, Colombia. She attended Medical School at the University of Cartagena and later specialized in Gynecology and Obstetrics at the Colombian National University. She later moved to the U.S.A. and completed her residency training in Internal Medicine at the Atlanta Medical Center. Dr. Garcia is very compassionate and committed to patient’s care, she believes that preventive medicine and patient education are the most important aspects that improve patients well-being and successful treatment. She welcomes you as a patient and will try to do her best to satisfy your health needs.